Johannesburg - KPMG South Africa said on Friday it would give its full cooperation to an industry inquiry into the audit firm’s conduct, after the inquiry had expressed frustration that it was not given all the documents needed to do its work. The SA Institute of Chartered Accountants (SAICA), headed by Advocate Dumisa Ntsebeza, began hearing testimony on Monday on whether KPMG members who are registered with SAICA violated any ethics. The inquiry, appointed last year November, will zoom in on the work KPMG did for Gupta-linked firms' members from January 2013 to September last year to determine whether KPMG contravened the institute’s code of professional conduct. KPMG CEO Nlamu Dlomu gave an assurance that KPMG supported the Ntsebeza inquiry, adding that she was fully aware that the matter is of public interest and looked forward to seeing the findings from the investigation. The inquiry includes probing KPMG's conduct in auditing the accounts of Linkway Trading that were allegedly used to funnel money from the controversial Vrede dairy project to fund the infamous Sun City Gupta wedding in 2013. Also under the microscope is the contentious R23m South African Revenue Service (SARS) report, nicknamed the “rogue unit report”. KPMG in September last year issued a statement that the conclusions, recommendations and legal opinions in the report should no longer be relied upon. But the commission was unable to obtain a copy of the final report. It expressed frustration that it had not been furnished with all the documents needed to fulfil its mandate by KPMG. 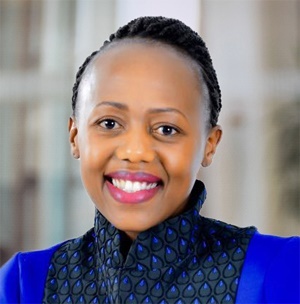 KPMG's Advocate Lerato Zikalala had told the inquiry the legal team could not provide the whole report before consulting with clients and getting clarity on what was privileged. In September last year KPMG apologised for the SARS rogue unit report and offered to repay R23m to SARS – and to donate R40m in fees from Gupta-owned clients to charities. It kicked out CEO Trevor Hoole, chief operating officer Steven Louw and chair Ahmed Jaffer. Dlomu was appointed as the new CEO to rescue the auditor from ruin. “KPMG South Africa is determined to be open and transparent. We are committed to cooperating fully with the inquiry and know that fair process is vital for the public to have confidence in its openness and transparency,” Dlomu said. The independent investigation runs concurrently to an Independent Regulatory Board for Auditors (IRBA) investigation, which is reviewing KPMG as an entity. The inquiry hit the speed bump, when it emerged that only two out of three SARS reports were made available to the inquiry, which excluded the “rogue unit” report. Advocate Vuyani Ngalwana SC, said the inquiry acted as an agent for SAICA, therefore just like SAICA it could request documents if it wished to to so. The Ntsebeza inquiry is set to continue on March 8.